2.7 bar fronts, 2.3bar rears on the staggered set up. What would you recommend for 235/35/19 all round? So what's that bottom one with M+S mean? I tried 44 front, didnt like the drive. I prefer 39 front and 35 rear, feels more balanced. 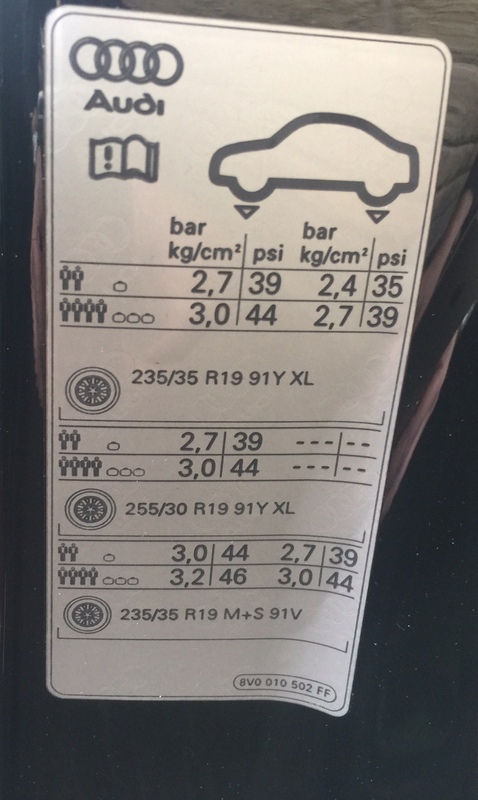 I've discovered over the years that I'm quite often running around on 32psi front o/s, 17psi front n/s, 24psi rear o/s and 12psi rear n/s. This is for winter tyres. D0C and T-800 like this.